Two local artists, commissioned by TriMet, have spent the last two months transforming the NE 60th and NE 82nd Ave MAX stations. 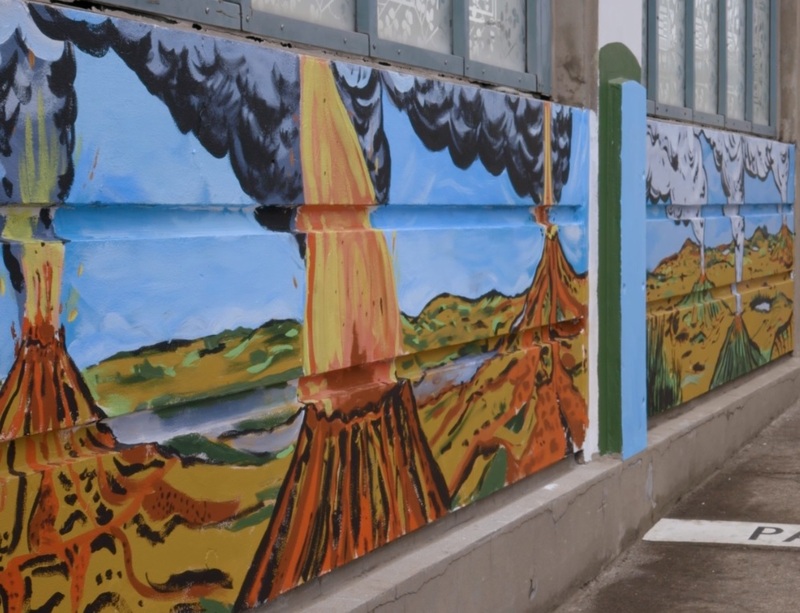 They created beautiful new murals that tell stories – both real and imagined – of the region’s history and its communities. NE 60th Ave – “The Green Man and the Cinder Cones” by Portland-based artist Daniel Duford is a visual narrative telling the story of how the Green Man of Portland, a coyote, some crows, a banana slug, hummingbirds and a lava giant inadvertently created the Boring Lava Field and the landscape beneath the station. Through the mural, the artist encourages passersby to pay attention to the land and the animals, connecting people to the larger living world and geologic time. 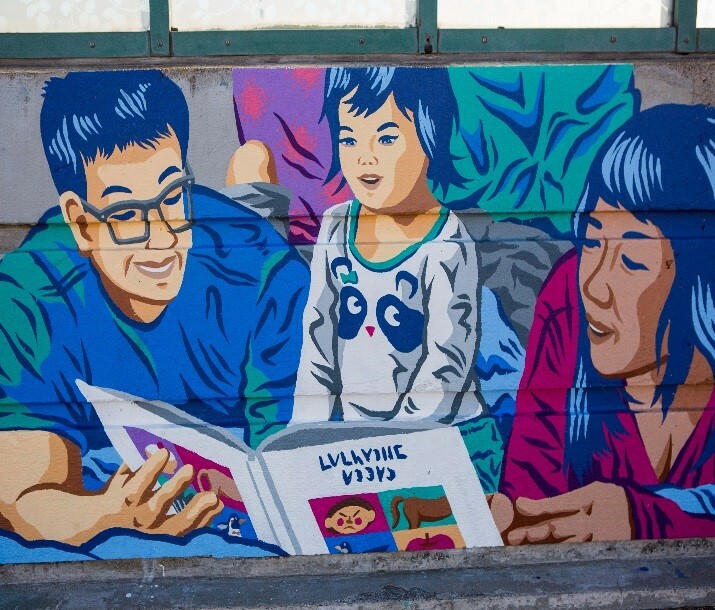 NE 82nd Ave – “How They Grow” by, another Portland-based artist, Alex Chiu, captures various community members and cultures of those living nearby, to highlight the diversity in the area. The overall narrative centers on a toddler and her interactions with different people, depicting how the local community helps to educate and mold future generations. The creators of the artwork showcased throughout the TriMet system are selected by the TriMet Art Advisory Committee. The Committee is comprised of artists, arts professionals and community members who advise staff, participate in artist selection and approve art concepts. The mural designs are site-specific, created explicitly for those locations by local artists. In 1992, TriMet initiated the Public Art Program to integrate artwork into the public transit system. The work of more than 180 artists is scattered throughout our bus and rail system, ranging from interactive sculptures, bronze statues, glass mosaics and more. With the renovation of some of our oldest MAX stations we’re adding new artwork at some sites.